Oklahoma is the final team on this list. They have a ton of talent, but it all starts with their senior quarterback, Landry Jones. Despite throwing for 4,463 yards and 29 touchdowns last season, Jones struggled down the stretch for the Sooners. After starting 6-0, Oklahoma finished 3-3 in their final six regular season games. Landry Jones is one of the favorites to contend for the Heisman Trophy entering his senior season. Junior tailback, Dominique Whaley, was one of the best stories in college football last season. The walk-on led Oklahoma in rushing through six games before suffering a broken ankle against Kansas State and was shut down for the rest of the season. Now that Bob Stoops has given Whaley a scholarship, the junior can finally quit his part-time job making sandwiches at Subway and focus on football. He will be the main cog in the rushing attack for Oklahoma heading into 2012. The Sooners also brought in two talented freshmen recruits in Alex Ross and David Smith to add depth to the backfield. Oklahoma also added a very talented back in Damien Williams, a junior college transfer from Arizona Western. The Sooners also return Roy Finch, who rushed for 605 yards and three touchdowns last season. Oklahoma's bread and butter is on the offensive line. They only allowed 11 sacks last season and will make Landry Jones job upright most of the season. A great offensive line is always one of the most underrated aspects of the game and Oklahoma returns four of their five starters. The Sooners struggled mildly last season when their star wideout Ryan Broyles went down with a torn ACL. It will be crucial for Oklahoma's receiving corps to step up now that Broyles' Oklahoma career is over. He will be a tough guy to replace after becoming the all-time receptions leader in FBS history. Junior, Kenny Stills, will be the main cog in the passing attack. He finished with 849 yards and eight touchdowns. Juniors Jaz Reynolds and Trey Franks were expected to be main pieces for Oklahoma's passing attack, but have been suspended indefinitely for violating team rules. It will be crucial for Reynolds and Franks to get their acts together if Oklahoma wants to compete for the Big 12 Championship and contend for the national championship. 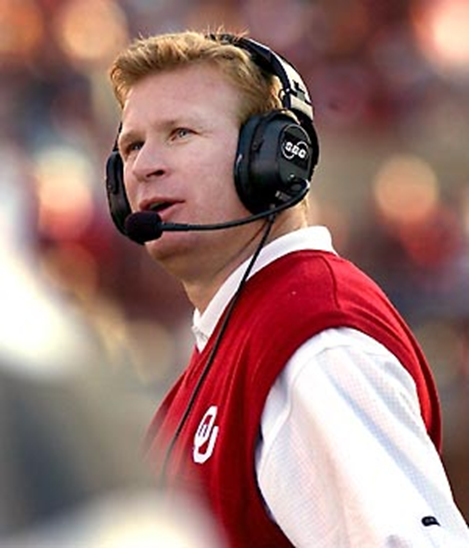 Mike Stoops returns as the new defensive coordinator at Oklahoma and will have the task of restoring the Sooners suffocating defense. Stoops was a co-defensive coordinator for Oklahoma in 2000, when they won their last BCS National Championship against Florida State. That defense did not allow one point from an explosive Seminole's offensive unit. In four of the five seasons while Mike Stoops was on Oklahoma's staff, the Sooner's also finished in the top ten in total defense. The guy knows how to coach defense. Oklahoma has struggled mildly in the past, finishing outside of the top 50 in total defense during three of the last four seasons. Junior linebacker, Tom Wort is the defensive quarterback for Oklahoma heading into 2012. He had 71 tackles and 3.5 sacks last season, and will have an even bigger role this year. Expect Corey Nelson, who racked up up 59 tackles and 5.5 sacks and will see time at linebacker and safety this season, to step up in his junior campaign..
Oklahoma returns three starters from their secondary. Senior defensive back, Demontre Hurst, a Second Team All-Big 12 selection, is the main cog. Hurst had 55 tackles last season to go with one interception and 11 pass breakups. Junior, Aaron Colvin, is one of the most talented defensive backs in the country. He led Oklahoma with 84 tackles last season and is one of the top tackling corners in the nation. Tony Jefferson is a guy to pay close attention to this season. He spent his first year and most of his sophomore campaign playing linebacker for Oklahoma, but moved to safety during the tail end of last season. He is expected to start in the secondary this year. Jefferson was the Big 12 Defensive Freshman of the Year in 2010 and is coming off a good sophomore season. He finished with 74 tackles, four interceptions, 4.5 sacks, and 7.5 tackles for loss last year.